Американский журналист, сатирик, критик и публицист; атеист. Henry Louis Mencken (1880-1956) was a compound of brilliance, wit, grit, gumption, and humor who became one of the great writers and social critics of this fading century. His agnostic father quietly agreed with his Lutheran mother to send the young lad to Sunday school as long as he chose. He quit somewhere between Genesis and Exodus when he "got a firm conviction that the Christian faith was full of palpable absurdities, and the Christian God preposterous." He gave the experience a definition: "Sunday school: A prison in which children do penance for the evil conscience of their parents." Yet he became a responsible recognized biblical scholar. He would author 28 books, found two magazines and astound the nation with the punch of his sardonic wit as a Baltimore Sun columnist. He challenged his readers to think and speak out. "The most curious social convention of the great age in which we live is the one to the effect that religious opinions should be respected," he claimed, and then gave his own-"To sum up: (1) The cosmos is a gigantic flywheel making 10,000 revolutions a minute. (2) Man is a sick fly taking a dizzy ride on it. (3) Religion is the theory that the wheel was designed and set spinning to give him the ride." 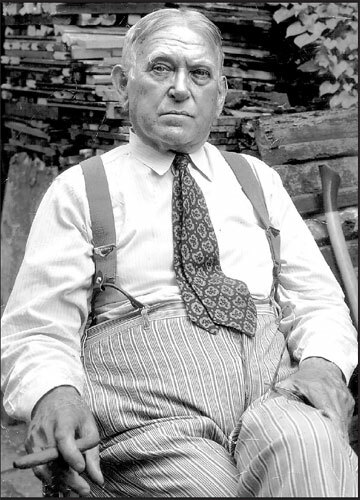 He had a ball covering the Scopes trial in Dayton, Tennessee as his nation-wide audience was treated to his coverage of Darrow and Darwin trouncing Bryan and the Bible. Years later he would claim, "The difference between the smartest dog and the stupidest man-say a Tennessee Holy Roller-is really very small." After witnessing religion's attack on education and intelligence, on our right to know who we are, he observed, "Religion is fundamentally opposed to everything I hold in veneration-courage, clear thinking, honesty, fairness, and, above all, love of truth." With regard to the pope and his rhythm method he noted that, "It is now quite lawful for a Catholic woman to avoid pregnancy by a resort to mathematics, though she is still forbidden to resort to physics and chemistry." He deduced that theology was "an effort to explain the unknowable by putting it in terms of the not worth knowing." As to the higher clergy-"Archbishop: A Christian ecclesiastic of a rank superior to that attained by Christ." He claimed, "The Catholic clergy seldom bother to make their arguments plausible: it is plain that they have little respect for human intelligence, and indeed little belief in its existence." Fundamentalist Protestantism, however, was "the more homicidal variety of wowserism." Perhaps his most quoted definition is "Puritanism: The haunting fear that someone, somewhere, may be happy." Religious issues, like the continental drift, take a while to grind out, and each generation starts about where their parents began in a loop of repetition. His arguments urging society to ignore religious opinions in matters of public policy, based upon their history of harm, have been ignored in great measure. His keystone work, Treatise on the Gods clearly shows the reason he called religion "a curse to mankind." He noted that the worse the times, the better it has been for religion. Each famine has been a banquet for the churches-the more uncertain our future the brighter it looks to the clergy. The more we grieve the more we give. He noted how pope after pope started war, or predicted "The End is Near!" whenever the papal fortunes waned. Not much has changed two generations after a stroke stilled his keyboard in 1948. We still mistake superstition for reality, confuse sin with crime, and fail to openly tell others to keep their theology off our rights. His critics claim he merely drudged up old arguments advanced by others, and pointed them up with vituperation. Robert Ingersoll had the same charge lodged against him and answered-"In my opinion, an argument is new until it has been answered. An argument is absolutely fresh, and has upon its leaves the dew of morning, until it has been refuted."